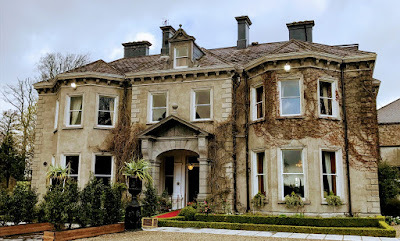 I have been staying overnight at Tinakilly Country House Hotel between Rathnew and Wicklow after taking part in a wedding yesterday [31 March 2017] in Ashford, Co Wicklow. Tinakilly is a four-star country house hotel with an interesting history and an interesting place in Irish architecture. 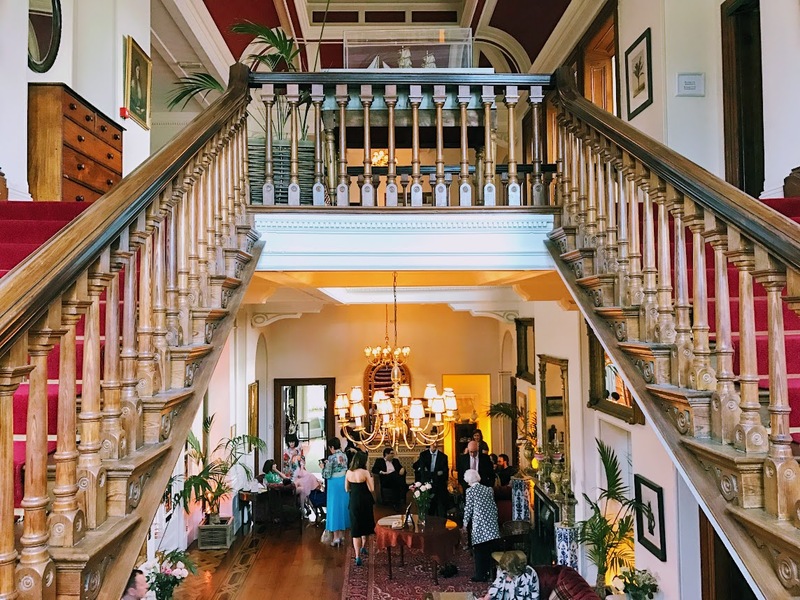 The house is set in about 14 acres of mature landscaped gardens in Co Wicklow, the ‘Garden of Ireland,’ overlooking the Irish Sea and is a magnificent example of a Victorian Italianate country house. Tinakilly is a detached four-bay, two-storey with attic country house, built in 1876-1883 to designs by the Kerry-born architect James Franklin Fuller (1835-1924), whose works include the Superintendent’s Gate Lodge in Saint Stephen’s Green, Dublin, Saint Mary’s Church, Julianstown, Co Meath, D’Olier Chambers or the Gallaher Building, a landmark building on the corner of D’Olier Street and Hawkins Street, Dublin, and Farmeligh House beside the Phoenix Park in Dublin, all of which I have visited and written about in recent months. Tinakilly house is a fine example of a late Victorian country house with somewhat eclectic detailing that is typical of house of that period in rural Ireland. Although the house was greatly extended in recent decades, the original building is relatively intact and of considerable architectural value. The façade is finished in unpainted lined render with moulded quoins, window surrounds and a dentilled eaves course. The decorative pedimented entrance surround is in rusticated granite. The overhanging hipped roof is slated and has large rendered chimneystacks with pronounced base courses and corbelling. There are several dormers, some with flat roofs, others with gable-ended pitched roofs; the latter are original, the former date largely from the 1990s. The south-facing front elevation consists of two full-height canted hipped roof bays flanking a shallower central square entrance bay. There is another canted bay to the west elevation with a square bay to the east elevation. The entrance lies within a recessed porch with decorative surround and consists of a tall panelled timber double door and a rectangular fanlight, flanked by painted stone rusticated pilasters and sidelights. The porch floor has encaustic tiles. The windows are generally uniform, with flat heads and plain timber sash frames. Cast-iron rainwater goods. There are large single and three-storey extensions to the east and north, dating from 1991-1997. The extension to the east is single-storey with canted bays, with its roof hidden behind a tall parapet. To the north of this is a much larger mainly three-storey extension with canted bays and hipped roof. 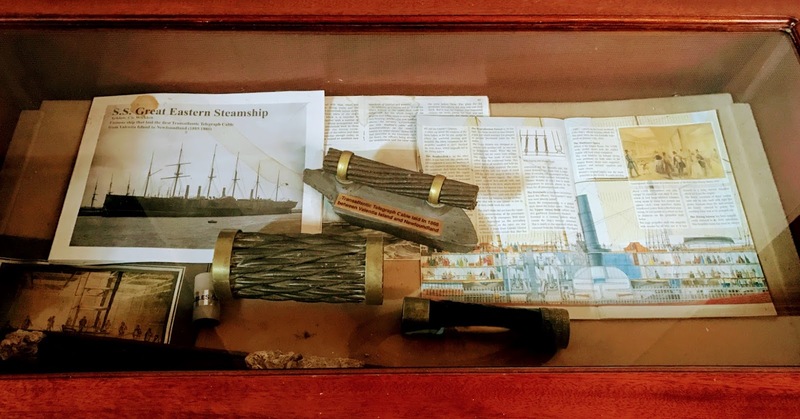 The house was first built for Captain Robert Charles Halpin (1836-1894), commander of the Great Eastern when it laid the transoceanic telegraph cable between Ireland and Canada in 1866. In recognition of Halpin’s contribution to improving global communications, he is said to have been given a blank cheque by the Government to build Tinakilly House, which was completed in 1883. Halpin commanded the Brunel-designed SS Great Eastern, which laid the world’s first transoceanic telegraph cables, linking Valentia Bay with Canada. Halpin was born on 16 February 1836 at the Bridge Tavern, Wicklow, and was one of the most important mariners in the 19th century. He died on 20 January 1894 at Tinakilly. Halpin’s daughter Belle Louisa Halpin lived in Tinakilly House until her death in 1952. The house then changed hands several times until the Power family bought the property as a family residence in 1982. William Power turned it into a hotel to pay for renovations caused by dry rot in the house. Tinakilly became a popular venue for meetings of government ministers and politicians and groups of civil servants. At the height of the property bubble, the hotel was sold by the Power family in June 2007 to a property development company for close to €10 million. That sale marked the end of a 25-year association with the house for William and Bee Power and their son Raymond, who had run the hotel since 2000. Tinakilly and nine acres of land were bought by Cova Properties, a Dublin-based developer that already owned 200 acres around the four-star hotel. Cova was set up in 1998 by Pat Shine – a former partner with PricewaterhouseCoopers – former estate agent and auctioneer Bill Mulrooney and property developer and builder Brendan Fitzsimons. Cova’s chief executive, Pat Shine, said at the time his company had plans to develop the whole site with a mix of residential, commercial and leisure facilities, spending up to €40 million modernising the hotel’s facilities to include a swimming pool, spa and health centre, and almost doubling the number of hotel rooms from 53 to more than 100. Clonsky, the company behind Tinakilly, wrote down the value of its properties to €2.9 million in 2010 and had a deficit of around €10.6 million at the end of that year. Following this, the hotel’s future was thrown into doubt at the end of 2011 when the company that owned the house went into receivership with debts of around €60 million and Ulster Bank appointed receivers for three companies owned by Fitzsimons and Mulrooney. In 2013, the hotel was on the market again with a guide price of €1.5 million on the instruction of the receivers Luke Charleton and Niall Coveney. 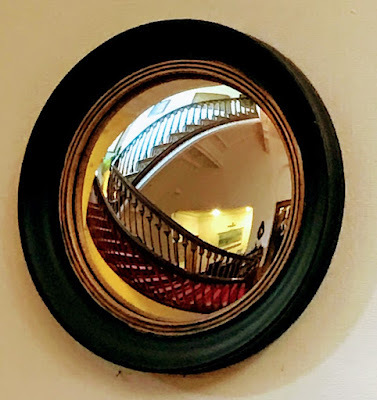 That September, it was reported that almost 50 jobs had been saved when the hotel was bought as a going concern by a consortium led by Gerard Lane, with plans to ‘restore and refine’ the hotel to include a spa and the creation a country house ambience. It is a year since I followed the tourist trail around Wicklow Town that tells the story of Captain Halpin [6 March 2016], and so it was and interesting experience to stay in his house last night. This week, from Sunday (26 March) until today (1 April), the USPG Lent Prayer Diary is following the topic ‘A World of Injustice.’ The topic is introduced last Sunday in an article in the Prayer Diary by Professor Mathew Koshy Punnackad, Honorary Director of the Department of Ecological Concerns of the Church of South India Synod. Pray that Christians might understand that caring for the environment is a key aspect of our discipleship.